What lies beneath the surface of the water has always fascinated me. Slap on a snorkel and mask, or even better, the full scuba gear, and I'm one happy girl. But if dipping below the surface isn't for you, there's plenty of other ways to explore what lies beneath. Like with a rod and reel. 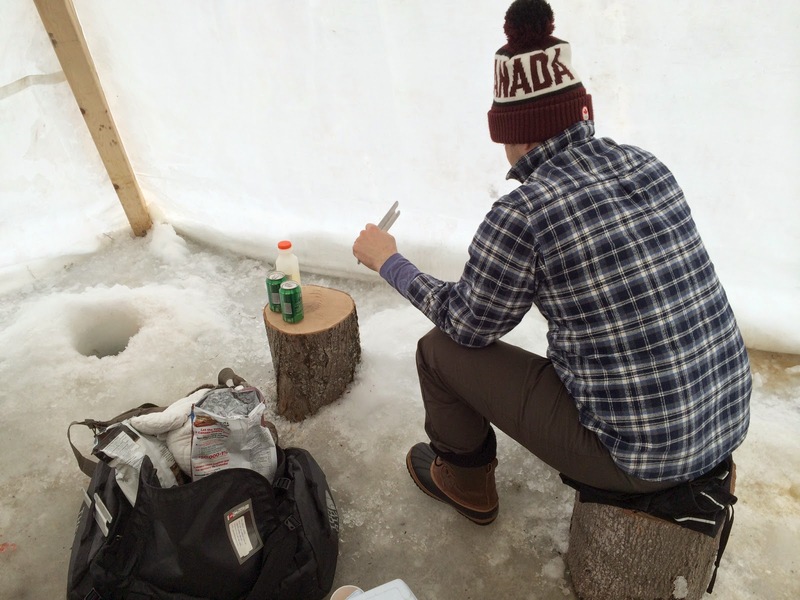 Today is World Water Day, and in honour of this special day, I'm sharing photos of a recent ice fishing trip with my husband, brother and sister in law. Located about an hour north of Toronto, Lake Simcoe is the 6th largest inland lake in the province of Ontario. In the winter, it freezes over completely. 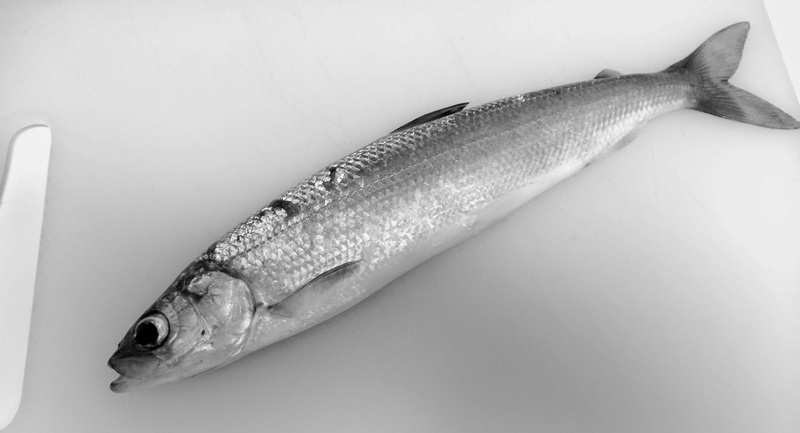 And with an abundance of active cold water species such as lake trout, herring and whitefish, it becomes an ice fisherman's paradise, often giving it the name of the ice fishing capital of Canada. 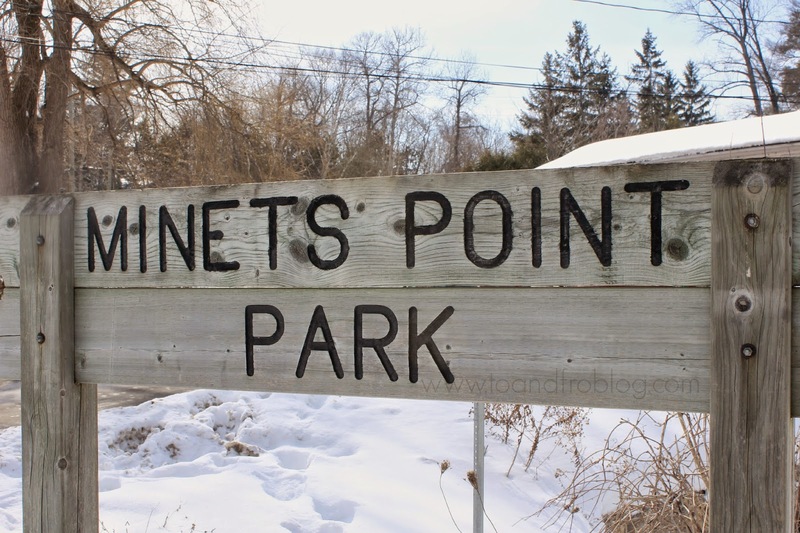 We spent the afternoon in a comfy hut located just off of Minet's Point Park in Barrie. 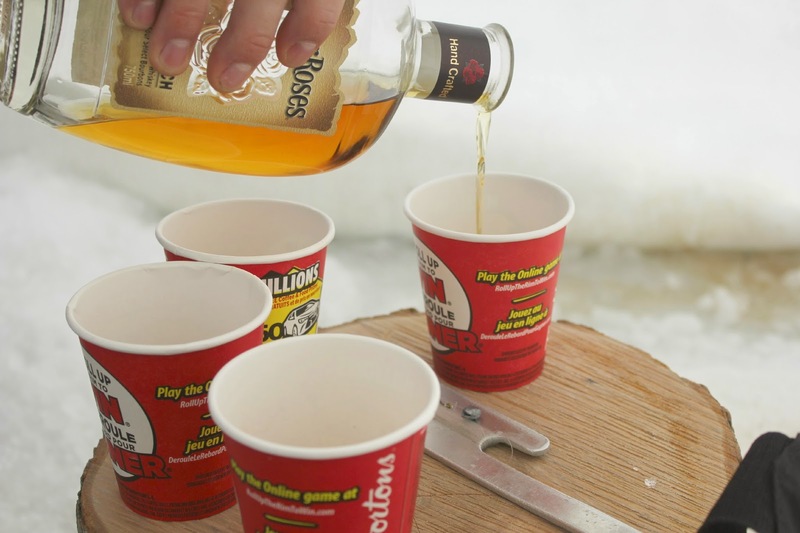 It was my first time on the frozen ice, and to be honest, I wasn't sure how much I would like. But the hut was comfy, the company was decent topnotch and the snacks and drinks were a plenty. If only I could say the same for the fish. I have a pretty good track record for out-fishing my husband. So in true fashion, I had to start running my mouth early that I was going to out-fish him yet again. The bet was set - girls vs boys, with the losers paying for food and drinks after a day out on the ice. Done deal, I couldn't lose. Except, we all came out losers, or winners if you're the optimistic type. The only fish we caught was right at the beginning of our adventure, on a rod my brother found. We declared it a "neutral rod", meaning the fish didn't belong to the boys or the girls. Oh well, at least the hut was comfy, the company was top notch, the food and drinks were a plenty, and we all had fun. 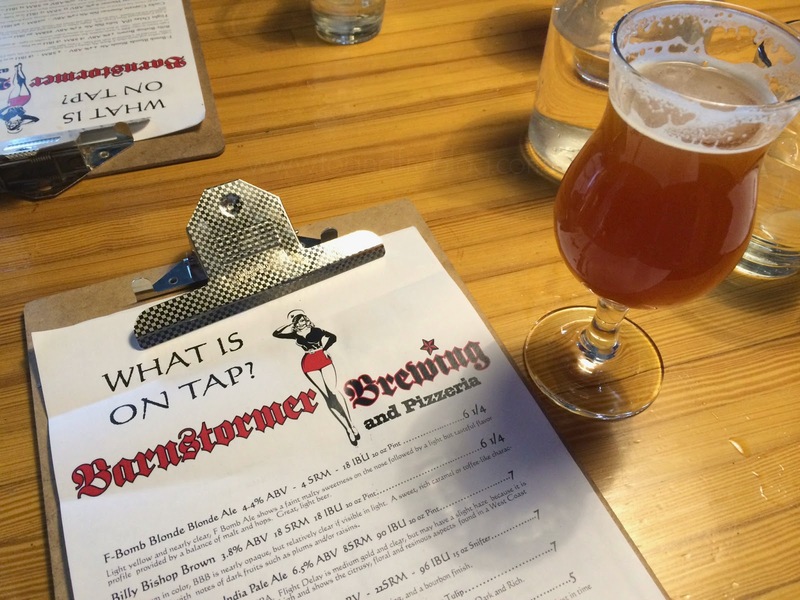 To end the rather unsuccessful day on the frozen water, we treated ourselves to pizza and a craft brew at Barnstormer Brewing. Nothing like a double IPA to warm your chilled bones, and bruised ego. And that fish we caught? Just a small taste of what Mother Nature has to offer in our Great Lakes. 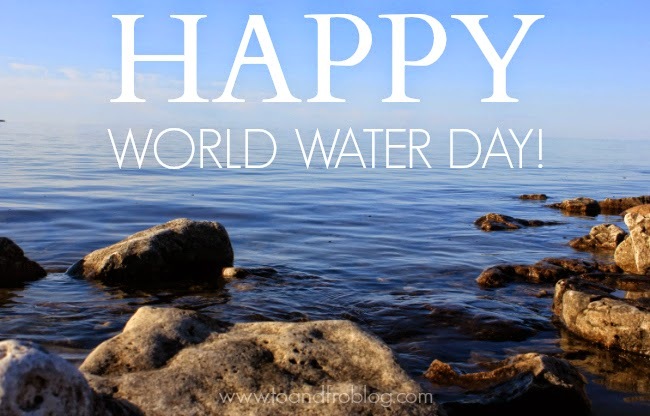 How are you celebrating World Water Day? 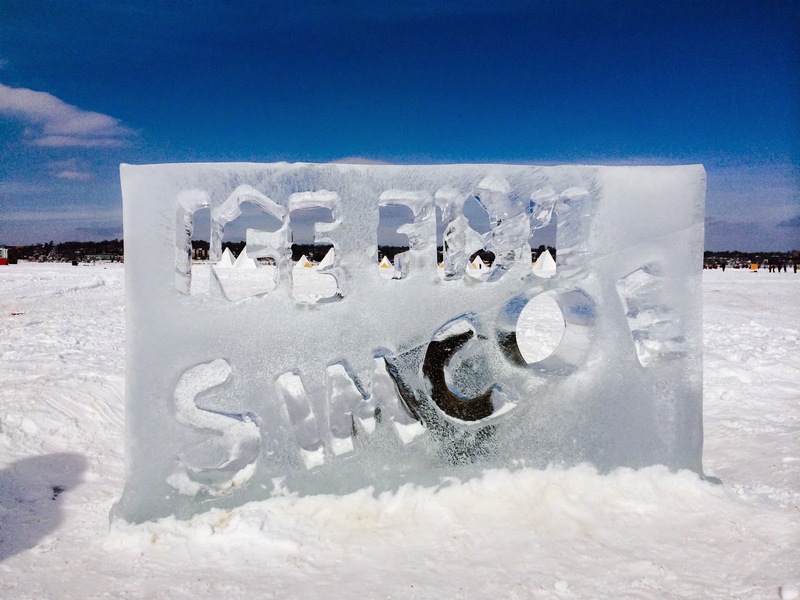 Have you ever gone ice fishing? So neat and absolutely beautiful! 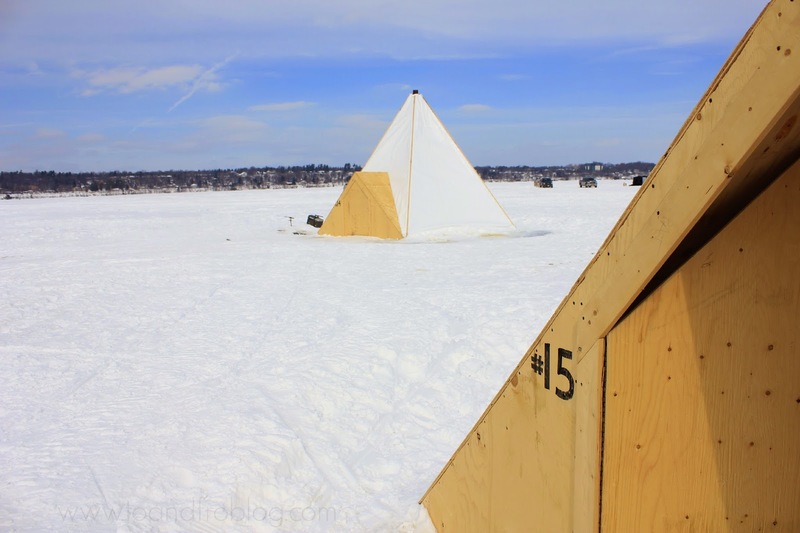 We participated in an ice fishing workshop last month but when it came to us picking up supplies and venturing out on our own, we chickened out! We were mostly afraid of what would happen when we actually caught a fish. haha. We wanted to put it back but were afraid we would accidentally kill it, so that's why we opted not to do it in the end. Plus, we would have had to buy an auger, which was a pain. I'm still interested in doing it but would like to go with someone who knows what they're doing! The boys should of won.